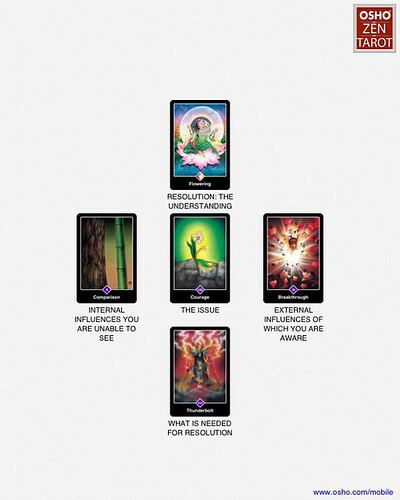 Thanks to the wonderful Erin Faith Allen, I've been exploring the Osho Zen tarot. Different to other tarots, it focuses on the here and now, and the cards are beautiful. Quite a powerful set of cards! This entry was posted in Thoughts and tagged Osho Zen Tarot by Jenny - Hillandatree. Bookmark the permalink.